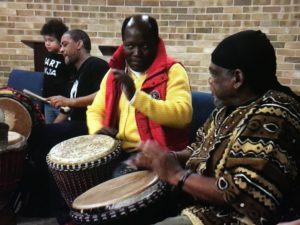 Join us for a fun African drumming class! Release stress, relax, and enjoy some uplifting songs. No experience required. Bring your drum or, if needed, drums will be available to use. Suggested donation of $10 for our teacher and space rental.